Family Thief is the solo project of Long Beach, CA based musician Malcolm. 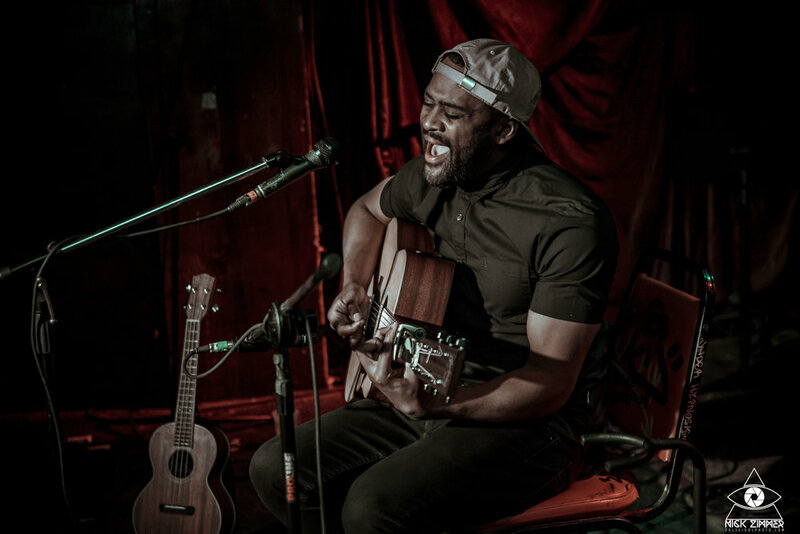 With unapologetically raw lyrics and a driving force of honestly behind his voice, Family Thief shared songs of desperation, new beginnings, and making your dreams a reality. Family Thief’s song “Jack and Coke” had a strong message of finding the courage to take the leap to pursue music full time. In between songs, Malcolm expressed thanks and gratitude for his Mother’s constant support — it’s clear that she’s a very important person in his life. He wrapped up his set with a lo-fi track that was a nice change. Nominee were up next. Based out of Austin, TX, this band is used to working the stage and delivering full force gut punching lyrics. We’ve seen Chase Huglin multiple times in the past, and he’s an artist that never fails to impress. His laid back stage presence, paired with his sing-along worthy lyrics always go over well with the crowd. This night was no different - as Chase sang the opening line of “Shae,” the crowd was impedately singing along. Before closing out his set, Chase joked about how most people in Nashville who would have otherwise gone to the show were at Emo Night, which was taking place directly across the street at Exit / In. Forever Came Calling hit the scene in 2012 - I remember seeing them play a small dive bar on Long Island back in 2013. Having seen their fan base grow, their musical style evolve, and now seeing an acoustic performance show really brought the experience of their music full circle. 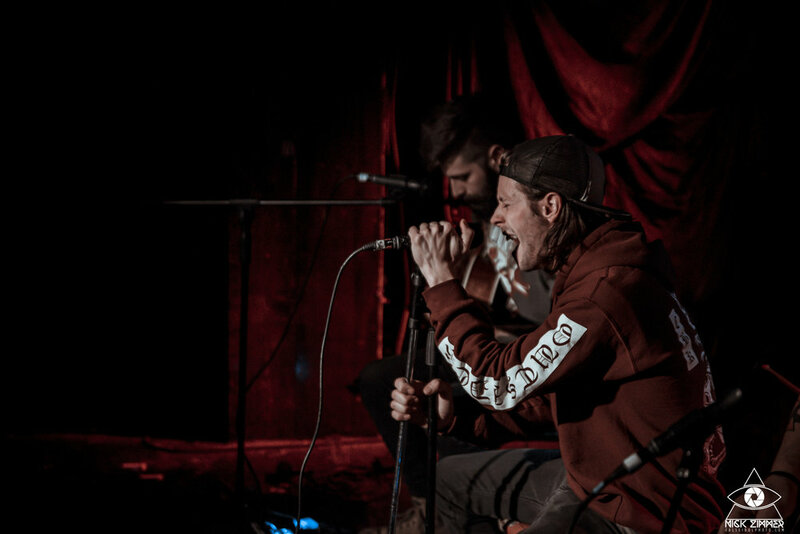 Performing as a duo, FCC busted out the old fan favorites like “Front Porch Sunrise.” This was a small, intimate performance that allowed FCC to connect with their fans —Joe even headed over to Exit/In after the show to be a guest DJ at Emo Night!